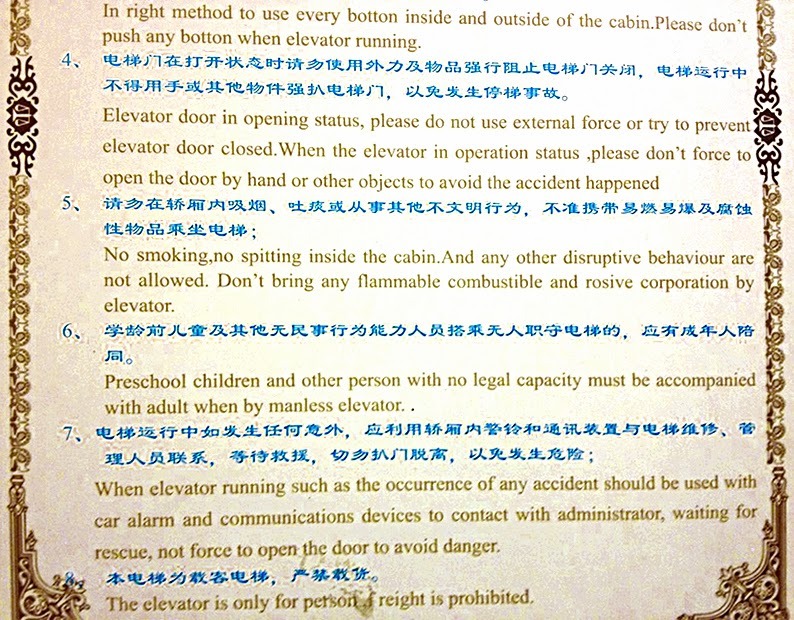 On a recent trip to China, Jon C found many things he considered amusing. Or, as the Chinese might put it in their beautifully literal translating style, he succeeded in obtaining a herd of devices which he was mindful would tickle him. For example, this sign he spotted in a lift provided a number of gems. I don't know about you but, by the time I'd finished reading these, the voice in my head had started using a corny stereotypical Chinese accent and was adding 'Confucius he say' before every sentence.